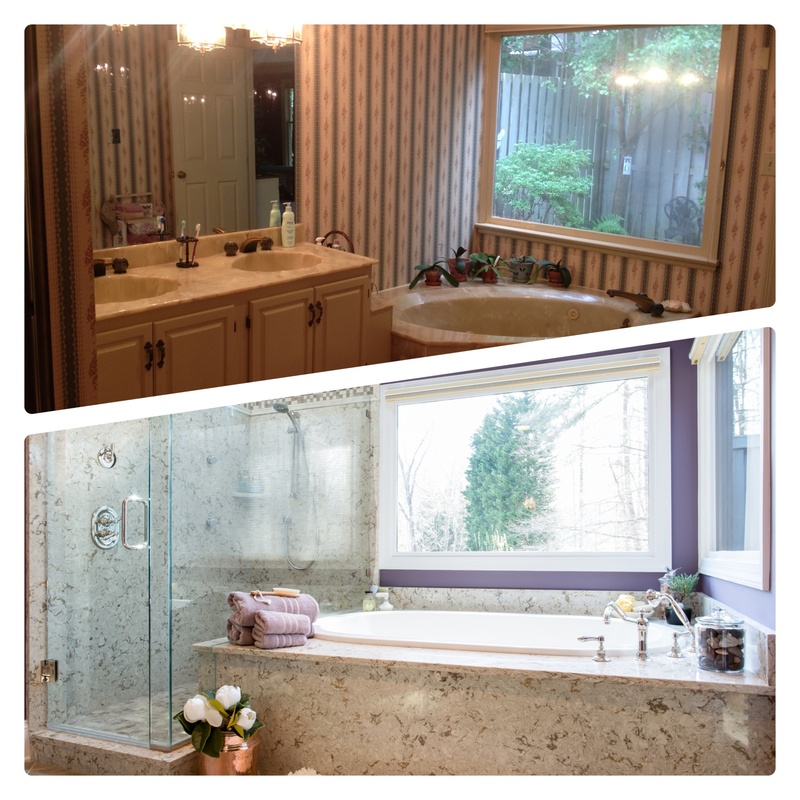 We absolutely adore sharing before and after photos-being a part of dramatic transformations such as this one has to be the best part of our work. You may see some familiar players in the before shots- the wallpaper pattern, garden tub, and pink carpeted bathroom floors were all cutting edge looks in their day. But that day has come and gone, and these spaces were ready for a clean, polished new look. The master bathroom, pictured below, was redesigned and now includes a custom shower and drop-in tub, both utilizing slabs of Cambria Windermere, which matches the vanity countertop (new vanity not pictured here- but you should definitely check it out on our Houzz page- linked at the end). As part of the master bathroom redesign, the bedroom closets became home to custom cabinetry with tall storage for hanging clothes as well as plenty of drawer and dresser space. 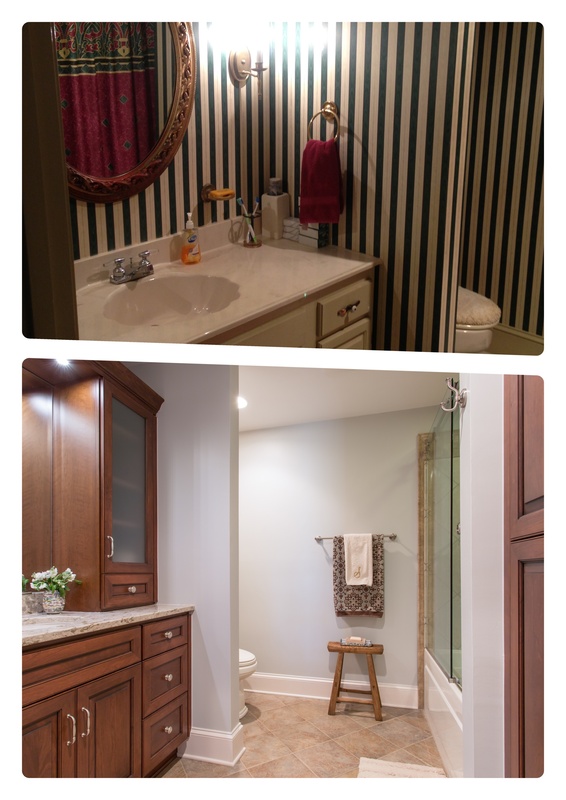 And we certainly did not neglect this secondary bathroom- custom cabinetry below is the same style as the master vanity, which is a rich cherry finish with a glaze from Crystal Cabinet Works. *The designer on this project was Rima Nasser. You can find more from Rima here.